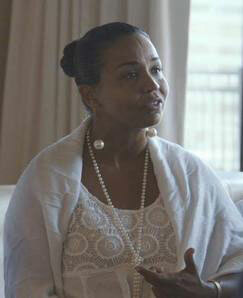 Lillie A. Estes calls herself a “community strategist.” Others see her as a force of nature. She has lived in Richmond, Virginia, for 35 years, where she builds and develops innovative alliances between organizations and people. Estes is well-known and respected both in the public housing project where she lives and by many public officials in Richmond. She has been a pioneer in race reconciliation work in the heart of the Confederacy, and is on what she calls a “spiritual journey” to improve her community. This began with her first efforts as a high school student in Newport News, Virginia, and as an active member of the NAACP Youth Council. At a time when many are feeling defeated as they try to fight against a racist and non-responsive government, many justice advocates around the country are asking this critical question. They recognize that nothing less than a total sea change in perspective will work: In order to create new policies and enhance community life, community justice organizers must turn to those most impacted. They must seek out community voices to truly improve their lives and the well-being of their communities. Estes cofounded Residents of Public Housing in Richmond Against Mass Eviction (RePHRAME) as a response to the housing crisis. And she has gone door-to-door to get residents to join her and have their voices heard. RePHRAME’s ambitious work includes making sure residents do not lose their public housing if redevelopment occurs; insisting that employment, education and other opportunities that arise from development go to public housing residents; assuring that residents have a voice in decisions regarding their housing and their communities; and working to avoid late fees tacked on to rent because of postal system delays. RePHRAME has also helped implement a residents’ Bill of Rights for redevelopment. “What I’ve learned is the importance of being fully present in the moment and being honest,” Estes said. “You have to find out what motivates people. Estes has also been instrumental in launching Richmond’s Community Justice Film Series (CJFS). Curated by Enjoli Moon of the Afrikana Independent Film Festival, the CJFS is composed of six film screenings staggered over an 18-month period (2017-18) and covering six major themes: education; whole body and well-being; public safety; housing; transportation; and job creation and wealth-building. Richmond Magazine described how the series provokes discussion and is engaging advocacy surrounding the issues, encouraging residents to examine how it affects their lives and their community. The next film is scheduled for February 17, 2018. A new way of looking at solving community problems is clearly evident in Estes’s work. “We are building a platform and a process that holds space for community members to re-engage in co-visioning and co-creating,” she told Truthout. Fox Rich from her website, www.foxrich.com. Fox Rich, a formerly incarcerated woman, prisoner’s wife, mother of six sons and the matriarch of the Rich family, notes on her website that her family has “endured 19 years of incarceration — together.” From Shreveport, Louisiana, Rich is a business owner and author of the book The One that Got Away: A True Story of Personal Transformation, in which she tells the story of how she emerged from incarceration, dedicated to creating a more just society. Today, she is driven by a sense of purpose and a mission to restore her family, and to break the cycle of incarceration in Louisiana. Meanwhile, she is working tirelessly toward community justice alongside her husband Rob, who is still behind bars. Rich and her husband are examples of this principle. They have developed their connections to others behind bars or impacted by incarceration because of their firsthand knowledge. They counsel other couples — he from inside prison, and she from outside. As they sustain their family, Rich’s husband works to complete his BA in theology and marriage counseling and they teach others survival skills for enduring the incarceration of a family member. “We are in constant conversation about family reunion,” she told Truthout. Rich said that through forming a Facebook group, they have created a community and now hold each other accountable, lend support and pass on wisdom. Rich told Truthout the story of how the line between perpetrator and victim is a false one. Some time ago, when she was at the district attorney’s office checking on her son (who, at age 17, had been arrested and charged with a false accusation), she ran into her dentist. Her dentist was there for the parole hearing of the man who killed the dentist’s brother. Rich had visited this man in prison; he had been convicted as a youth, and was serving a life sentence. At the time, Rich knew her dentist was unforgiving, and she wanted very badly to speak to her dentist about mercy. But she was not allowed to for a variety of legal reasons. However, the family of the young man who killed the dentist’s brother wrote a letter, telling the story of the tragic murder and explaining some of the motivations of the teenager at the time of his crime. Rich hopes to deliver the letter to her dentist, and told Truthout that she believes this could be the beginning of the forgiveness process. While she was in prison, Topeka K. Sam dreamt about helping disenfranchised and marginalized women and girls like herself transition back into society. She saw this happening through education, entrepreneurship, spiritual empowerment and advocacy. Sam told Truthout that she imagined “through the journey of transformation and redemption, [she] would be able to help transform lives of women in communities and families.” In February 2016, she was instrumental in creating the first of 11 symposiums under the banner of “Real Women Real Voices: Where the People Meet the Policy,” focusing on “incarcerated and formerly incarcerated women, the children of incarcerated parents and the carceral state.” A community justice approach always seeks to include those who exist on the margins of community life, as they are potential resources for community development. 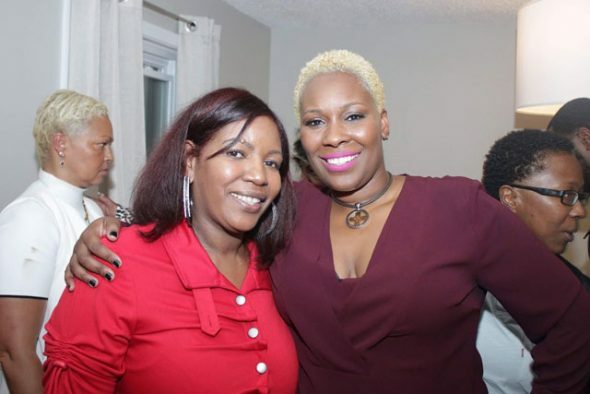 This led her to her most recent project, cofounding Hope House, a project of the Women of Hope Ministries, with Vanee Sykes, a formerly incarcerated woman whom Sam met at Danbury Federal Prison. The dream for Women of Hope Ministries was to establish a two-year pilot program to support single women returning to New York City from state or federal incarceration. They found seed money from Susan Burton, founder and director of A New Way of Life, a successful Los Angeles re-entry-based program. Together, Sykes and Sam searched for and found a house in the Bronx, developed a website, lined up staffing, and began to get referrals from progressive New York re-entry organizations like Exodus Transitional Community, the Osborne Association and The Fortune Society. Sam plans to live on-site with the women — five are waiting to move in — to help with their transition. On October 28, 2016, they had an open house and invited members of the community to see what they were up to. Reintegrating formerly incarcerated men or women is important to the community justice process, as it helps to assure what Karp and Clear call “stewardship,” or a way for citizens to feel themselves responsible for the larger community. Sam, a Beyond the Bars 2015 Fellow, a 2016 Justice-In-Education Scholar at Columbia University and a 2017 Soros Justice Advocacy Fellow, talked openly with Truthout about the obstacles she has faced with Hope House. Recently, the New York State Parole Board “denied the house,” said Sam, meaning that they denied any women released from prison from living in-house because they would be supervised by Sam, who is still on parole. Sam said she will fight the policy. She also has discovered that some people in the community where Hope House is located don’t want the house to operate in their neighborhood. Homeowners who live on the block have said they believe that their real estate values will drop because of Hope House, and they also fear that the residents will reoffend. Sam said she is planning to meet with the neighborhood community board to educate the neighbors how they can get involved in a positive way. This past summer, the Oregon Justice Resource Center (OJRC) released a groundbreaking report, “Disrupting Mass Incarceration at the Local Level: A Guide to Mapping Reform.” Authored by political director Kate Gonsalves, the report is a resource for groups to “build power” and understand the politics and dynamics of creating change. Gonsalves recognizes that there is a long road to changing Oregon’s mass incarceration policies. To create resources, OJRC talked to people inside prisons, faith groups, attorneys, local elected officials, as well as community members. While the report delves into a case study of one county in Oregon, it also offers any organization an approach to community justice-based change. For example, the report offers mapping approaches for communities seeking to understand power dynamics; and actions to take now to create change. It demystifies power relationships in a community and offers a problem-solving approach. Some of the exciting ideas that have come out of her class, which Lindahl detailed in a phone interview, were initiated by a variety of students. Some were community members interested in learning more about mass incarceration. Others were related to the punishment system in some way, i.e. formerly incarcerated or those with families involved. “Some community members worked with people inside,” said Lindahl. While Lindahl was quick to explain that all ideas are in development, she talked enthusiastically about one student who had a tech background and wanted to develop an app for reentry. The app would connect people who were formerly incarcerated and family members, so they could share resources. Students in the class also are developing short films around strategies that people released from prison have used to create a stable life for themselves. Two people in the community, both formerly incarcerated, are developing a curriculum that they’ll teach to attorneys, judges, prosecutors and defense attorneys on what actually happens when a person is sentenced to prison. Lindahl uses podcasts as a way for students to get lecture material for the class, and uses class time for students to hear from local activists and to develop ideas for their projects, in what she called a “flipped classroom model.” She blends academic research and the perspectives of people directly impacted by the system, always aiming to shed a light on national issues. Still, the focus of both Lindahl and Gonsalves is firmly based in community practices as they seek to disrupt mass incarceration in Oregon. Ultimately, those returning from prison or are otherwise disenfranchised are often in the best position to advocate for structural changes in the management of their communities. Activists, such as Lillie Estes, Fox Rich, Topeka Sam, Kate Gonsalves and Nicole Lindahl understand that the quality of community life and policies to create change — especially in the most deeply disadvantaged communities in the United States — must include the voices of those decimated by decades of disinvestment. A community justice model emphasizes that all members of the community need to be heard and recognized.